Best Buys For You UK - Which Electric Toothbrush is best? Which electric toothbrush is best? We’ll show you the best, user-rated cordless, rechargeable toothbrushes for your money in 2015? Whatever price you are willing to pay you’ll want a power toothbrush that’s fit for purpose and helps you thoroughly clean your teeth and massage your gums between visits to the dentist or dental hygienist. At Best Buys for we’ve identified these key points to help you answer the question which electric toothbrush is best for me? 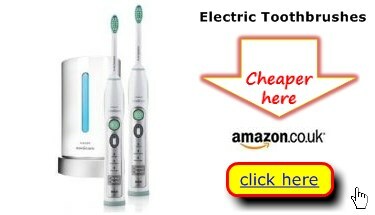 Good news is that you can get a great electric toothbrush without spending a small fortune. Daily clean Sensitive brush setting Teeth Polish¹ Teeth Whiten² Toothbrush Expect to pay around* Overall Users’ Satisfaction rating** Best buy? *Expect to pay around prices correct at publication. Price s may be lower now – check our “Who’s Cheapest” page. **Overall Users’ Satisfaction Rating. This is a combined figure from all users of this model. Owners were asked: “You’ve lived with your toothbrush now for 6 or more weeks. Thinking about how much you paid and your experience to date, how would you rate your toothbrush overall out of 10? What can we say about the Oral-B 400? It just cleans teeth and along the gum-line. That’s it. The Oral-B 400 Advance Power is powered by 2AA batteries that will probably last you months. You can click on any of the Oral-B brush head range including the super duper Trizone head. 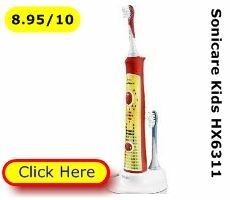 Oh yes, and users rate this humble electric toothbrush almost as highly as multi-mode models costing ten times as much. The Oral-B 400 makes a great kids electric toothbrush or a travel brush. There’s also not a lot to say about the Oral-B 1000 rechargeable toothbrush. Again it’s designed to clean teeth and gums all week long. And again you can clip on any of the Oral-B brush heads. That means you can use the 3D white or Pro-Bright brush heads to polish or whiten your teeth naturally (with the right toothpaste of course). The Oral-B 1000 also comes with a built in 2 minute teeth cleaning timer and a pressure sensor (that interrupts the motor) if you are over-zealous with teeth brushing. Some people like their modes and some genuinely benefit from a sensitive setting. The Oral-B 3000 has three modes: daily clean, sensitive clean and polish (or whiten teeth). It too incorporates a 2 minute teeth brushing timer, pressure sensor and a low battery warning light. This electric toothbrush model is often supplied with not two but three brush heads. These comprise the standard formulation “precision clean”, the “Floss-action” deep clean head and 3D pro white/pro bright teeth whitening and polishing brush (you may need special toothpaste). It’s worth mentioning that the Oral-B Trizone 3000 (8.96/10) is essentially the same handle, but fitted with the new Oral-B Trizone brush head. This is divided into 3 zones. The power tip bristles help winkle food particles from the back molars and between teeth. Pulsing bristles loosen and clean plaque from the surface of teeth. Finally, sweeping bristles clear debris away below the gum-line. 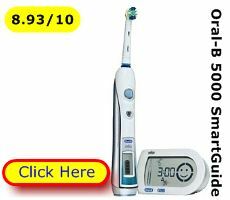 The Oral-B 5000 SmartGuide is a top of range model that you can usually find at 50% OFF MRP. It’s a fine example of an electric toothbrush with timer. In this case you have both a stutter timer and the wireless SmartGuide device that provides visual cues as to what part of your mouth you should be cleaning. Plus you get 5 teeth cleaning modes including a soothing gum massage setting. The Oral-B 5000 comes with 3 brush heads: Precision Clean, Floss action (for daily/sensitive clean) and Pro Bright for teeth whitening or polishing. And a hard travel case. Which is the Best Electric Toothbrush by Users’ Satisfaction Rating? Our which is the best Electric Toothbrush 2015 list has 4 brushes that have user satisfaction ratings above 9. That means owners and users consistently rate these brushes as fit for purpose, effective, reliable and value for money. The Oral-B 400 Advance Power is cheap and cheerful. It cleans teeth and delights its owners. Perhaps the £12 price has something to do with it. The Oral-B 3000 – according to users - is the king of Braun electric toothbrushes. It has 3 cleaning modes, recharges in around 8 hours and has a stutter timer to help you achieve that golden, two-minutes of teeth cleaning. The Oral-B Trizone 3000 is almost identical, but fitted with the new Tri-zone brush head. 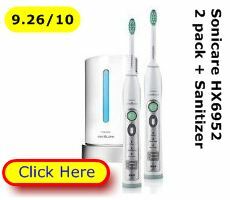 The Philips Sonicare HX6952 is a bumper pack containing not one but two sonic toothbrushes (the capable Sonicare FlexCare) and a UV sanitizer container. Pop your brush heads in this gadget and it cleans them and UV zaps germs between uses. With this package you are getting a brush head sanitizer worth around £40 and two rechargeable toothbrushes for around £50 each. 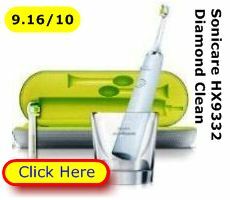 The Sonicare Diamond Clean is top of the Philips Sonicare range. The DiamondClean refers to a brush head that promises a thorough removal of dental plaque for a tingle fresh mouth. What you get in this package are 4 teeth cleaning, polishing and whitening modes, plus a soothing gum massage setting. Also included in the pack are a hard travel case and a clever plastic tumbler (for slooshing after brushing). This stores the brush between uses and also slips over an induction re-charger. You can also re-charge this toothbrush from a laptop PC using a USB connector. 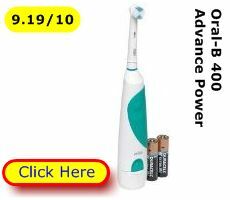 The best buy electric toothbrush at a budget price is the Oral-B 400 Advance Power at around £12. As you can see it is well rated by its owners – both for value for money and teeth cleaning ability. If the 400 Advance Power is too basic for you then take a look at Oral-B’s Professional Care range: The Oral-B 500 gives you a teeth cleaning timer. 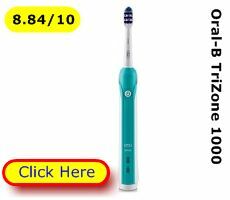 While the Oral-B 1000 or Oral-B 1000 Trizone gives you added plaque clearing power and a home or travel induction recharge cradle. These are essentially the same brush handle with a different brush-head. 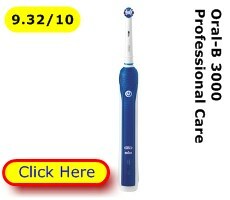 Top of the best buy cordless toothbrushes priced at £50-£80 is the luxury Oral-B 5000 SmartGuide. This is a top-notch brush you can typically pickup for an amazing 50% OFF MRP. Daily clean Sensitive setting Polish teeth¹ Whiten teeth² electric toothbrush Expect to pay around* Overall Users’ Satisfaction rating Best buy? The Oral-B 5000 offers an impressive, plaque busting 8,800 micro scrubs per minute. Plus it has a 2 year warranty and that SmartGuide, wireless gadget. This gives you a visual clue as to how long you’ve been cleaning your teeth – ensuring you achieve a thorough 2 minute teeth brushing every time. It doubles as a bathroom clock between scrubs. The Sonicare FlexCare 2 pack and Sonicare DiamondClean claimed top places in our survey of users. Each of these power brushes has multiple functions and teeth brushing timers. Daily clean Sensitive teeth clean Polish teeth¹ Whiten teeth² Brush Expect to pay around* Overall Users’ Satisfaction rating Best buy? The Sonicare HX6952 FlexCare gives you 2 brushes and a UV sanitizer to clean the brush heads. The Sonicare Diamond Clean is Philips top sonic toothbrush. 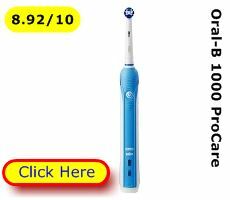 If you want one then shop around to see if you can better the indicative price (use our cordless electric toothbrush price comparison pages). Which is the Best Electric Toothbrush - Conclusion? What you want for the maintenance of your dental health, between dentist and hygienist appointments is this: A toothbrush that’s keenly priced and capable of removing the plaque bacteria that causes tooth decay, tirelessly twice a day. And, from time to time, offers a soothing gum massage or the ability to polish or naturally whiten teeth.